You have questions, and I have answers! We are share our time between Guleph, Ontario and Halifax, Nova Scotia, however, our service area is practically anywhere you need me to be! I've done weddings from London to Halifax, Jamaica and even at Sea! Aside from from destination Weddings, travel is free up to 300km/day. We have collections specifically designed for Ontario, Nova Scotia and Destination. Please visit the investment page. I sure do! You can find them at The Knot, Wedding Wire, Facebook, and I'm sure there are others out there. I can tell you that I refer all my couples to write a review on these sites because they are an open forum - meaning I have ZERO control what is put up on these websites so you're sure to receive an unbiased review of what people think about me, their experience and final product. I am an International Wedding Photographer and absolutely LOVE to travel! I would be honoured to join you in just about any place in the world! Contact me and we can talk about the details of your wedding. Is videography something you offer? It sure is! We have a great team here an we work together so well! Dates are subject to availability but our videography team has an amazing reputation and will create an amazing video for your day! See the Investment tab for more information on the packages available. Absolutely! Engagement sessions are great for two VERY important reasons. It's a great way for us to get to know each other better before the big day, but it also gives me a good idea of how you two work together before we get to your big event! Just as important, it gives you both the ability to see how I work, so you can go into your wedding day with confidence in me and know what to expect. You always have the right to "pass" on your engagement shoot, but it isn't recommended. Do you offer free, no obligation consults? Without question! It's really important to me that you not only like my photographic style and packages, but that you like me too! Unlike most other vendors on the day of your wedding, you actually have to spend the entire day with us. You need to know that I'm someone you can comfortable with and feel like I can provide an experience that will be fun and eventful. I will never push you for a sale. I feel like the decision has to be the right one for you both. How far in advance should I reserve our date? All dates are on a first come first serve basis so, the sooner the better. Once you've set your date, it is best to book as soon as possible to make sure the date is yours! Once your retainer is received, your date is reserved. The sooner the better – often times I am booking one to two years in advance. Will you be the photographer at our wedding? Yes! Absolutely! In the very unlikely event that myself or any secondary photographers should be disabled or have a severe family emergency, it is up to me to find a replacement photographer who is of like experience, education, equipment and style so it does not affect your wedding day! With that said, it is not something that we anticipate happening, and I (along with my second shooter with Classic and Platinum Collections) will be photographing you on your wedding day. We like your wedding packages, but they don't fit with our plans. Can we adjust them? My wedding packages are built to suit most needs, however, sometimes you have an idea or event that just doesn’t fit into a pre-designed package! Please feel free to contact me and we can discuss your ideas! Do we get a disc or USB with our photographs? All my packages come with a USB (disc for the blush collection) of full size, unmarked and digitally retouched images. You will also be provided with web-ready watermarked images for web use and email. Do we have to order prints or products through you? No. 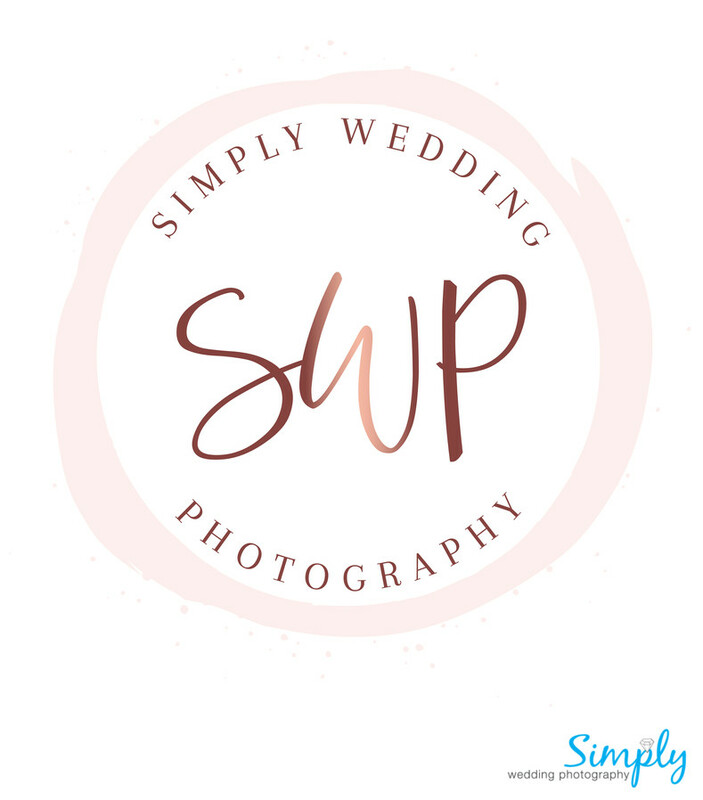 You are not obligated to do any printing or purchase any additional products through Simply Wedding Photography. I state right in our contract that copyright of your images are extended to you for personal use meaning you can print your photos where you choose, design your own books, or whatever other neat products you wish! How long until our images are ready? I aim to have your images digitally retouched and ready for printing within 4-6 weeks. This may vary during the busy season (6-8 weeks), however I always do my best to ensure that you have your images within that time frame. Although having a photographer that fits your needs is the most important part of your day, the price comes in at a close second. That is why all package prices are listed on the investment page. There are no hidden costs. If you do not find what you are looking for, contact me and we can work with you to build a package to suit your needs. Either way, you’ll know exactly what you’re paying before we sign your wedding contract. What is your retainer, payment and cancellation policy? In order for me to hold and book your wedding date, a 30% non-refundable retainer is required. This retainer ensures that your date is yours and I will turn down any other business that comes my way for your date. The remainder is due any time before the date of the event! Cancellations can be made up to 30 days prior to your wedding date, in which case you would not be responsible for the remaining funds listed in the contract. In the unlikely event that you need to move your wedding date due to a family emergency or accident, we simply take your retainer and apply it to your new chosen date. No matter who you choose, contracts are SO important. All of these details are listed right in our contract. I have a select couple of local photographers that I hire as my second shooters. I have worked with these gals for many years. Not only do they know exactly how I run my weddings, but they could run one themselves. They are experienced in working with me, have proper equipment - I couldn't do my job without them! Meet them on the About Me page. A great question that most people forget to ask. The answer is: Without question! Not only is my equipment insured, but so is my business! We accept cash, cheque, Visa, Mastercard or email money transfer. A receipt will be provided to you for all forms of payment. Unfortunately, completing credit card purchases cost us almost 3% of each transaction. We split this with our clients and therefore, credit card purchases have an additional 1.5% charge. I have friends who would like you to photograph their wedding. Do you have a loyalty program if I refer them? Yes! We LOVE that you enjoyed us so much that you want to spread the word! There is nothing better in this business than receiving great reviews by our previous clients. We have an amazing Loyalty Program because we value our clients and believe you should be rewarded for your amazing and thoughtful recommendations. For every couple that you refer to Simply Wedding Photography who hires us for their wedding, you will receive a $50.00 gift card of your choice. All you need to do is give them the referral card we provided you with when you received your final package with your images!